Washington, D.C. — The National Institute of Building Sciences (NIBS) is gearing up to deliver the seventh iteration of the industry’s only all-inclusive conference where members of the entire building community come together to connect, collaborate and create solutions that benefit the built environment. 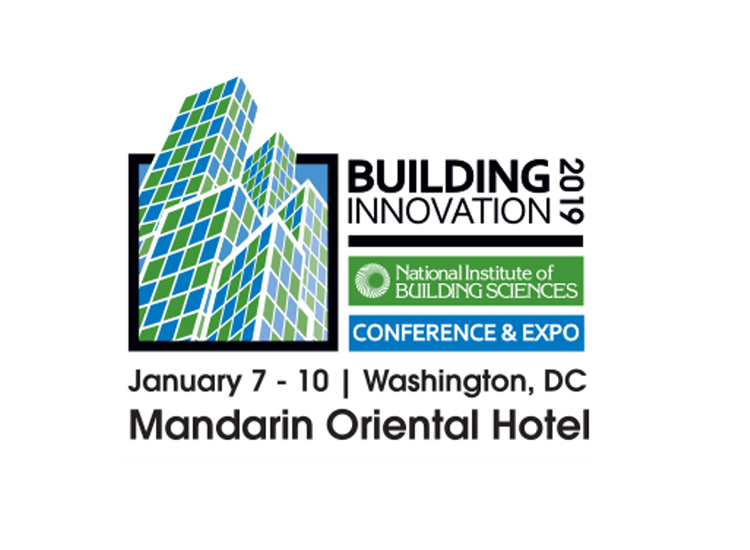 Building Innovation 2019: The National Institute of Building Sciences Seventh Annual Conference and Expo (http://www.nibs.org/conference2019) will take place January 7-10, 2019, at the Mandarin Oriental in Washington, D.C. Interested parties should submit a 200-word abstract, a 150-word biography, learning objectives and five keywords describing their presentation via the online application at https://www.nibs.org/page/conf19_Call. Promotional presentations on products or services will not be considered. Abstracts are due Friday, June 29. If selected, speakers should be prepared to submit their final PowerPoint presentations and high-resolution headshot by Friday, October 29. They will receive a complimentary registration to attend the day of their speaking event or a 50 percent discount on full registration. For more information on Building Innovation 2019, visit www.nibs.org/Conference2019.